Our Ace VK0EK Team Artist, Jeff Murray, K1NSS has knocked another one out of the park for us. 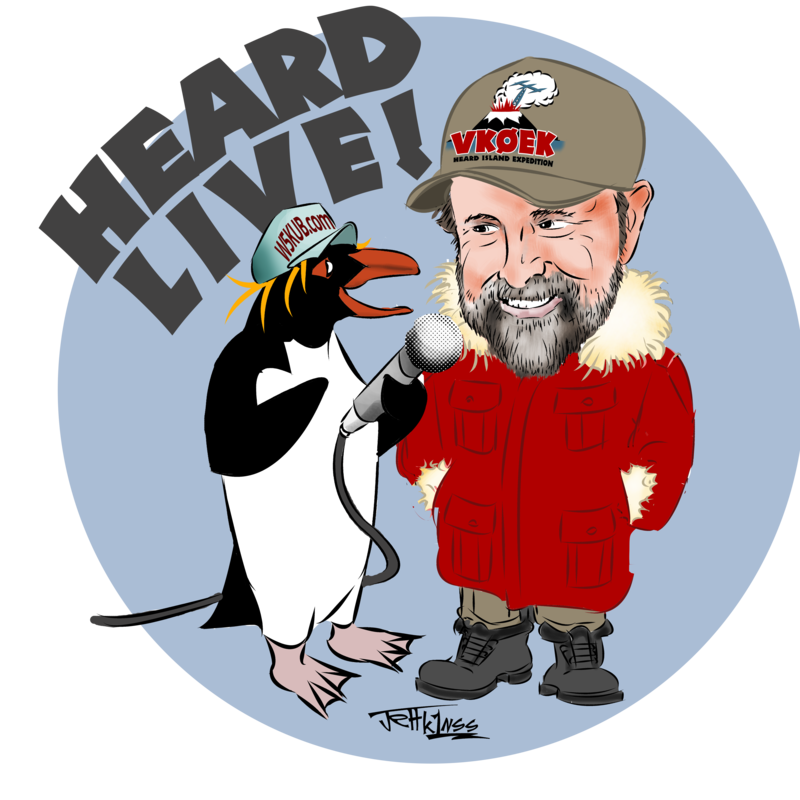 Here we find Penguin Tom, W5KUB, interviewing VK0EK Team Leader Bob, KK6EK . . . .
Stay tuned for all of the “live” aspects of the Expedition that we will give the old college try to make happen. Watch for Bill, AE0EE live Tweeting on the Braveheart and also on Heard Island after they land!